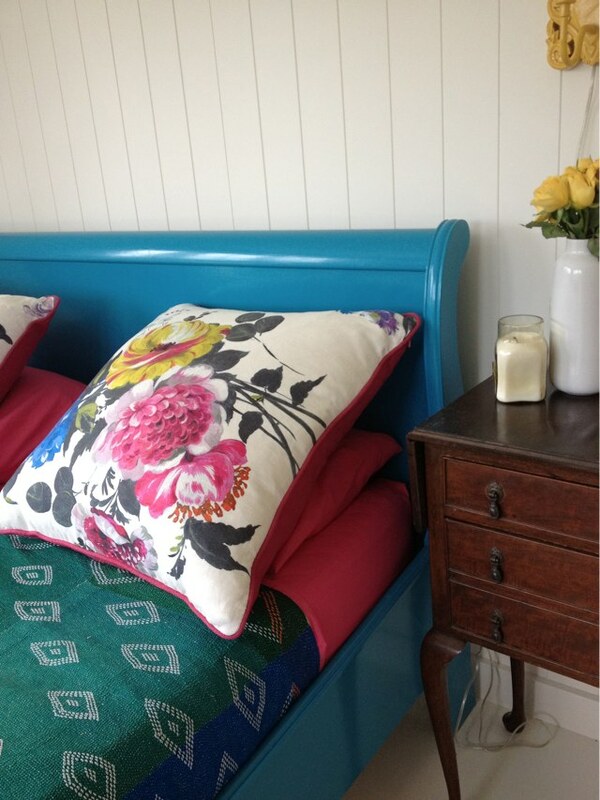 I am slightly obsessed with Ercol furniture. I first fell in love with it while I was going through a particularly strong Scandi phase. 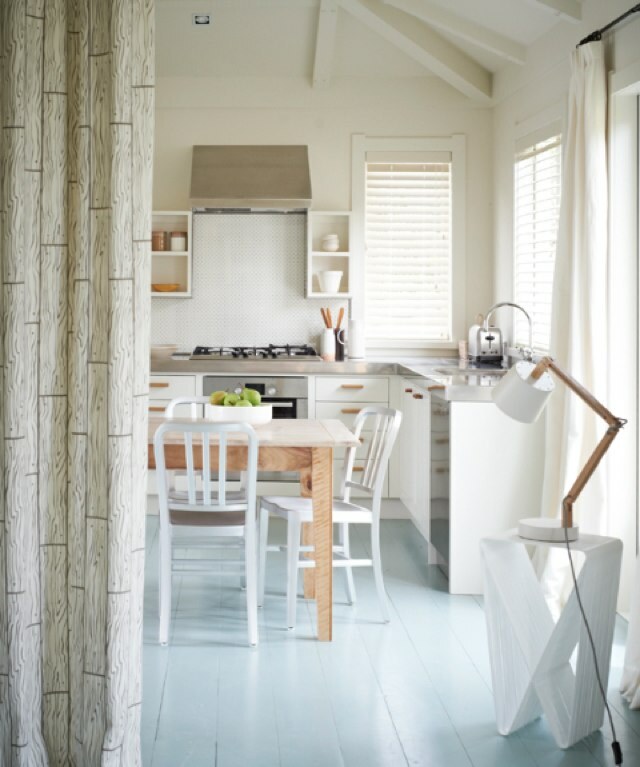 I love the shaker quality of it and I am also very aware that at times you need to break up the intensity of the colour palette that I like to use, and wood is a good way to do that. The first piece I ever owned I found quite by accident on trade me. It was an armchair that someone had a buy now for $80 on it and I literally saw the damned thing go up and pressed the buy now button and it was mine. The upholstery is not fabulous, as I got my Mother to remake the covers in calico as it was all that I had on hand at the time. Four years later, I still haven’t got around to changing it as the chair is so well used I would get in trouble if I tried to send it (or its cushions) to the upholstered. 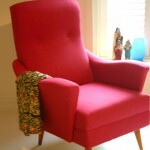 I have since added a footstool and a two-seater couch in a dark stained Windsor design which lives in my bedroom. 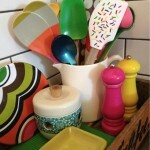 The wee brightly coloured side table is from The Object Room, which is newly opened in Ponsonby. For those of you who know me, you will know that I have a slight obsession with stools (and cushions and bright paint and chairs in general) and have far too many of them. So adding another one is a bit of craziness on my part, but I just couldn’t resist this Chinese inspired printed table. It comes as a flat pack, and can be put together by a child (my Eldest did it in super quick time, I’m not sure I could have!). It was $120 and comes in eight or so different patterns. I have just done a shoot for Cuisine magazine and while I was out hunting for props for it, I found this Large Wooden Tray from Country Road. At just $54.90, it is a very useful piece of equipment for the upcoming silly season. It can of course be used as a tray, but I will be using it to put a very large portion of Eton Mess (here is the link to the Nigella version which is incredibly easy) on Christmas Day. I am all about the most amount of effect for the least amount of effort! That, and the fact that I have 19 people for a late lunch for Christmas Day. Organisation will be the key! Sometimes it fascinates me that there are such fabulous bargains to be had around the place. 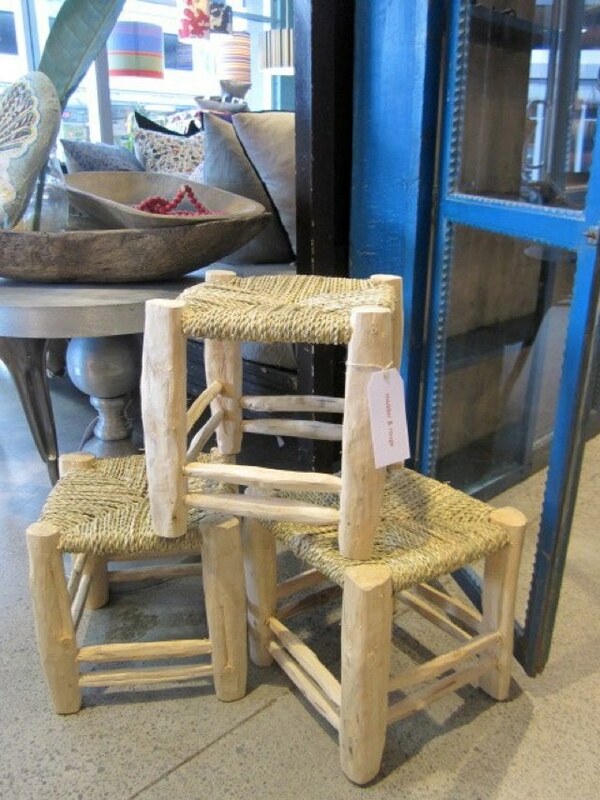 These gorgeous handmade stools from Turkey are just $49 and are from Madder & Rouge. One of the many things i love about Erin O’Malley (of Madder & Rouge), is her commitment to being able to find something in her store to match your budget. There are beautiful french cushions there for $250, but there are also sweet little soaps for $6 and a stool (a piece of furniture) that you can take home for under $50. I know that last time she had these in her store they disappeared in five minutes flat. They may have all gone by now, but there were definitely some there yesterday when I popped it. 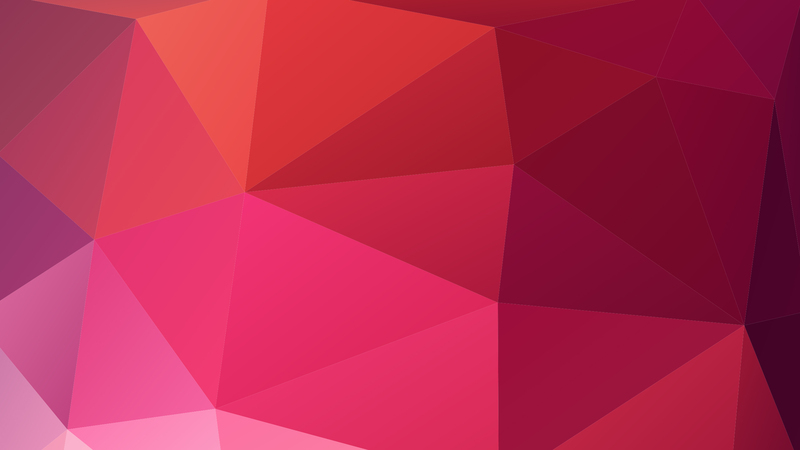 If you want to keep up with what is coming into the shop, then join their Facebook page which will keep you updated. Once you get there you will realize I just stole this picture off her Fb page. Cheeky. 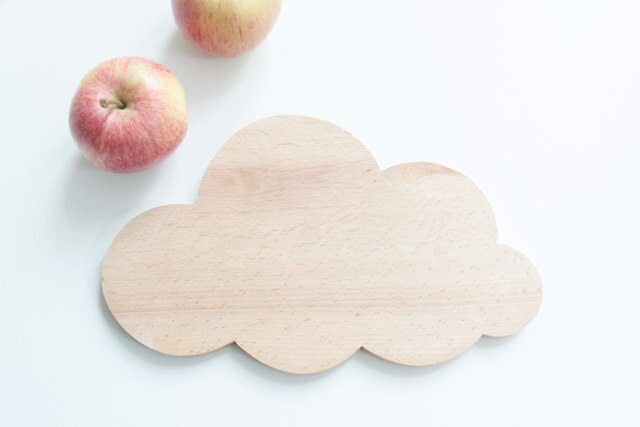 Whimsy is alive and well at Father Rabbit both on-line and in their small but perfectly formed store in Grey Lynn with this gorgeous Cloud Chopping Board $48 by Caroline Gomez. 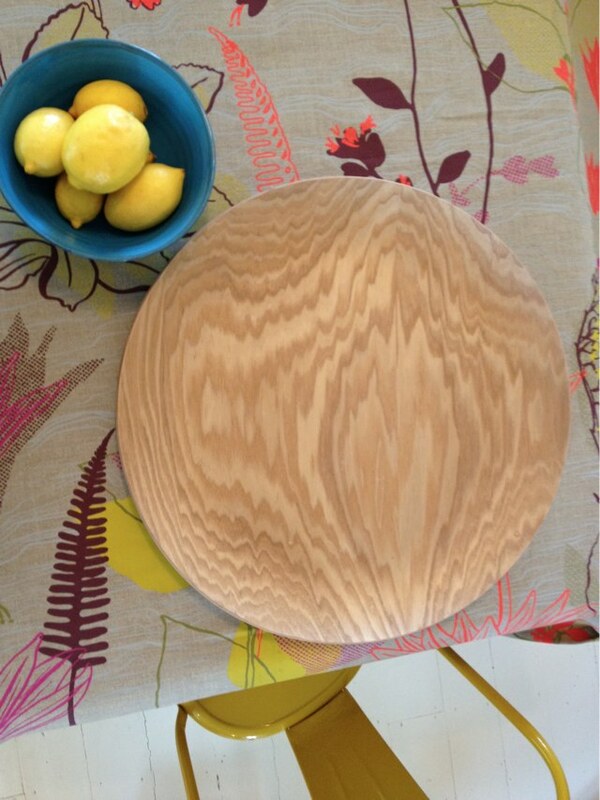 Made from beech from French Forests, at 25 x 16 it is a gorgeous little addition to your kitchen that most certainly shouldn’t be shoved away in a cupboard. The pallet has become the object of desire recently. I tried to find some so I could make a platform for The Daughter’s bed. But finding them is not as straight forward as one might imagine. So I was rather pleased to find this version of a pallet coffee table, called the Crate Table and made by the father and son team of Neil & Justin Fraser for PRIMARY LTD a new company based here in Auckland. 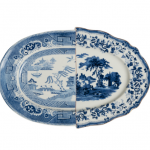 For now the pieces are only available here, but they have plans to stretch this to places further afield! 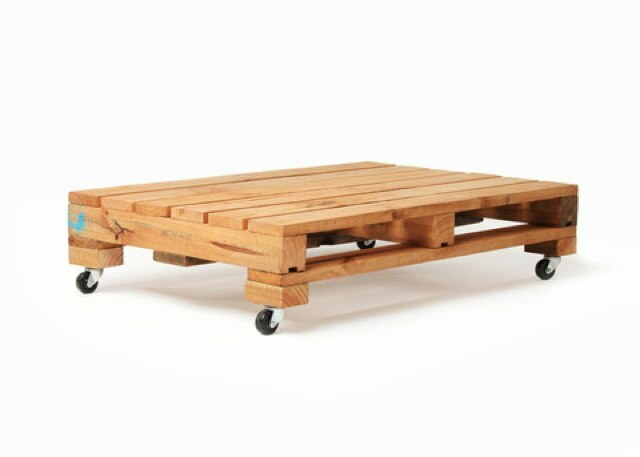 At just $180 this pallet coffee table is a great priced piece of hand-created furniture. They look great all stacked up with books and magazines, or left clean and stark. Well, that is me for this post. 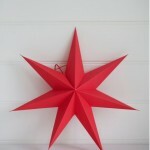 I have another all colorful post in the wings at the moment, and one on all things Christmas that I love at present. They will both be up shortly, especially as Christmas is getting so close!